Because Mondays are hard and sometimes we need a little inspiration… If you’re feeling 99.9% about a decision, don’t let that .1% hold you back. Don’t waste time with the woulda, coulda, shouldas and just go for it! When you look back chances are you will regret the things you didn’t do. 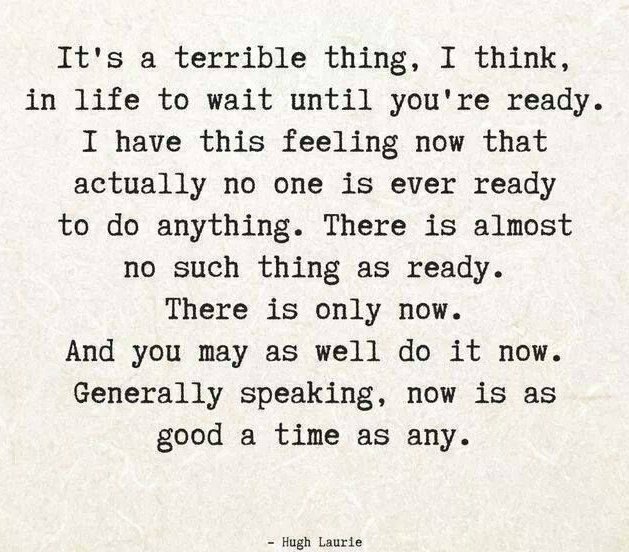 Categories: Uncategorized | Tags: advice, House, Hugh Laurie, Inspiration, Life, Lifestyle, Motivation, Motivation Monday, Quote | Permalink. Well said Annie, and oh so true!